He is a source of information for our guests, a popular photo motif and he also enjoys a chinwag with the visitors to the Advent market. 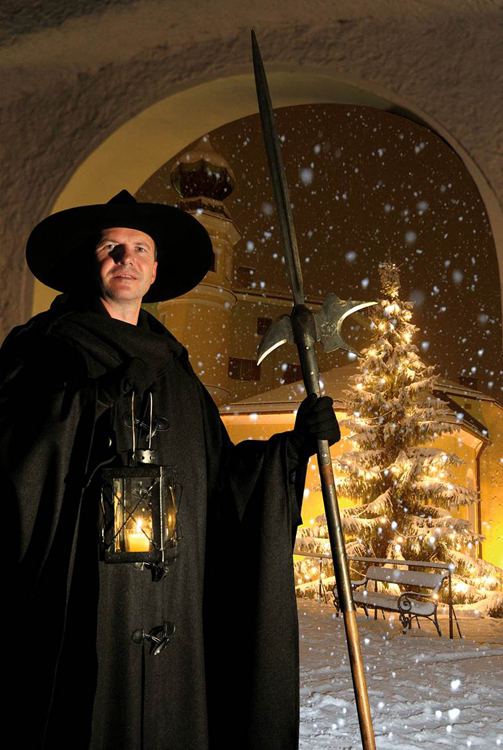 When darkness falls, the night watchman with his halberd starts his rounds through the Lienz Advent Market, making sure everything is in order, dealing with visitors' queries and always ready to lend a helping hand, especially to the younger visitors. At 9 p.m. sharp his traditional cry signals the end of the market day, the lights in the market stalls go out and a wonderful stillness descends on the main square of Lienz.